This is just a quick post as I have more house sale and moving tasks to attend to today. 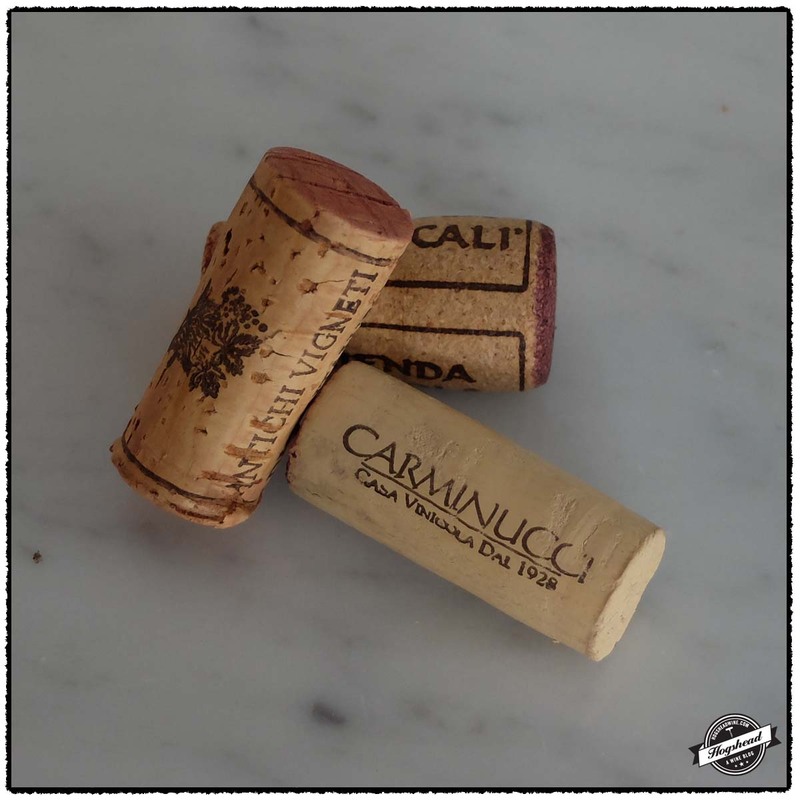 My two favorite wines in today’s post are both from the 2009 vintage in Italy. 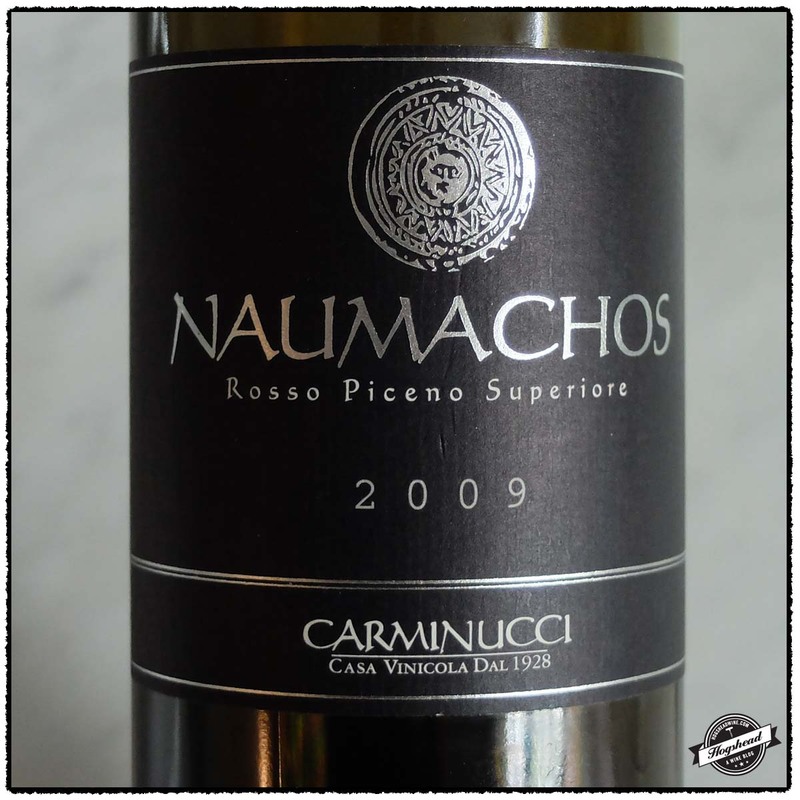 The 2009 Carminucci, Naumachos, Rosso Piceno Superiore has taken on attractive maturity but still offers ripe fruit, texture, and a hint of minerals. It drinks great right now and I suspect if you are a fan of the Southern Rhone you will dig this wine. I will buy more and so should you! 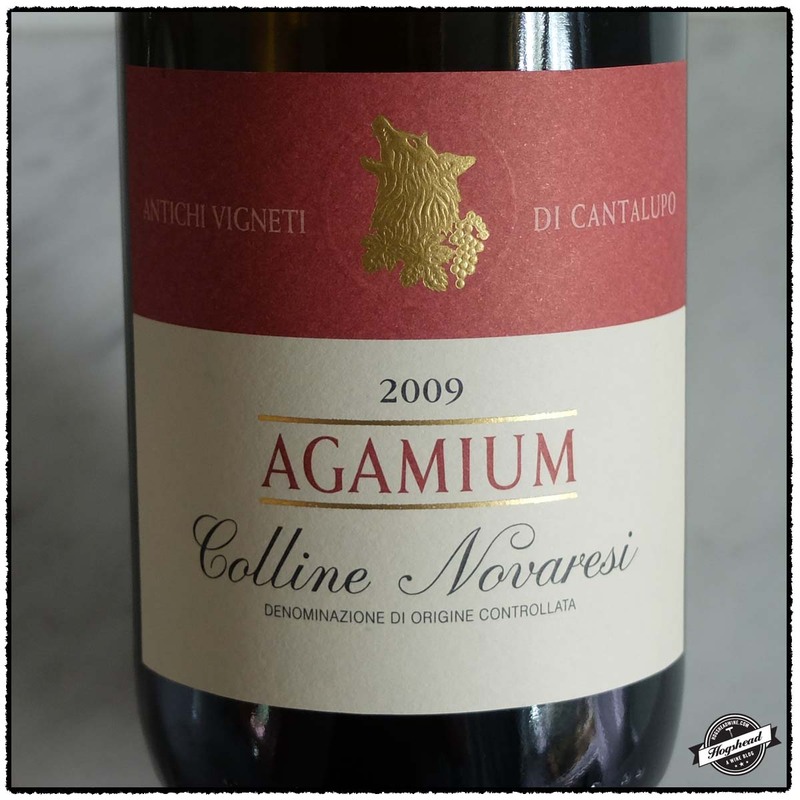 The 2009 Antichi Vigneti di Cantalupo, Agamium, Colline Novaresi is an attractive, mature wine made from Nebbiolo. 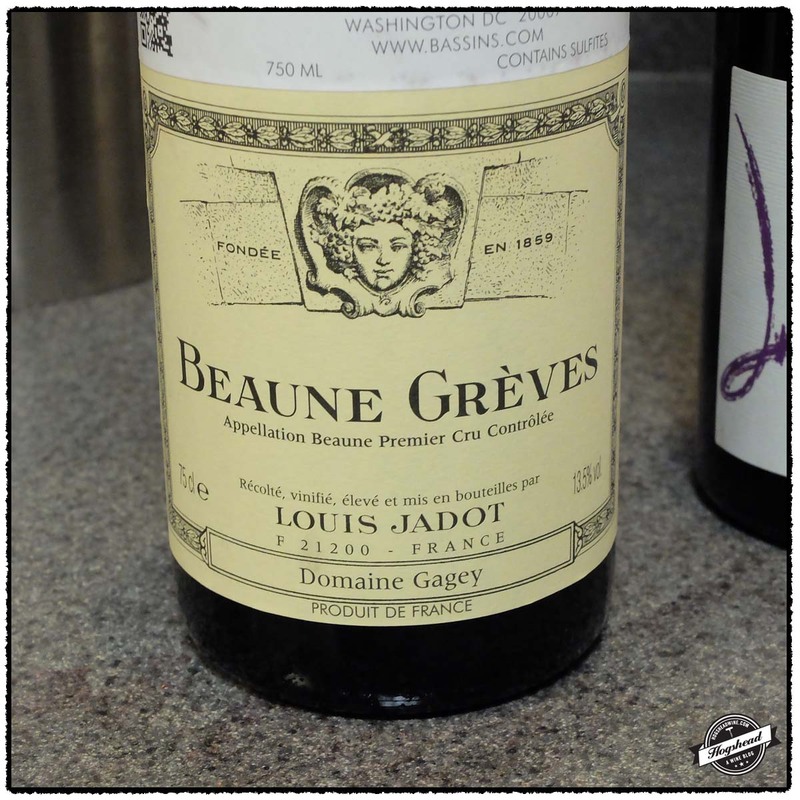 It is not terribly complex but strikes a good balance between maturity, interest, and price. 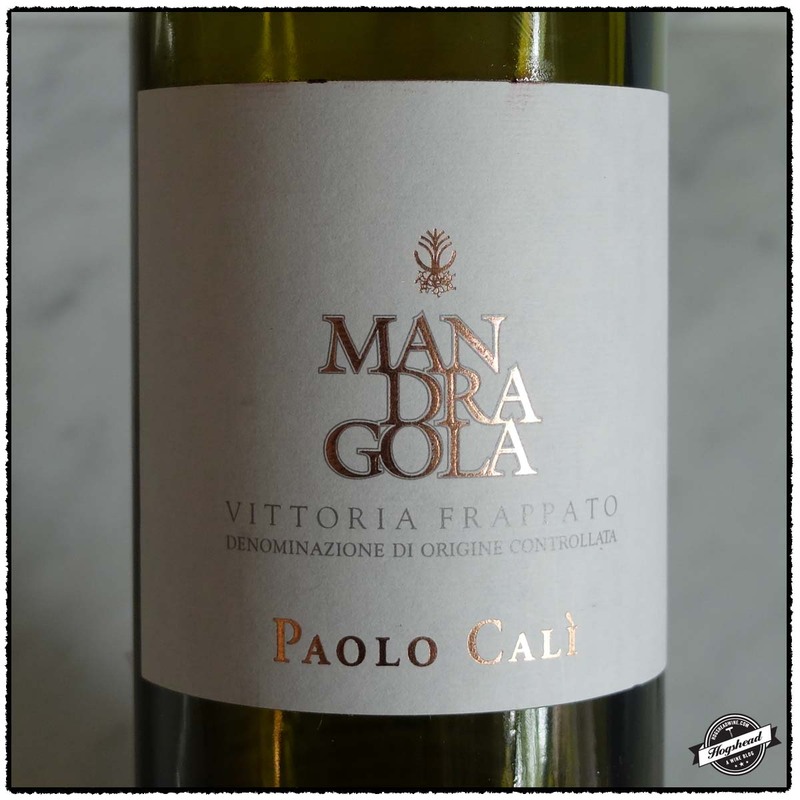 I like Frappato and was very much looking forward to the 2013 Paolo Cali, Mandragola, Vittoria Frappato. It smelled good but I was too distracted by the elevated level of carbon dioxide to enjoy it. These wines are available at MacArthur Beverages. Imported by Verity Wine Partners. This wine is a blend of 70% Montepulciano and 30% Sangiovese that was aged in French oak. Alcohol 14%. There were aromas of ripe fruit, cedar, and mature notes. In the mouth were focused flavors of ripe black and blue fruit that had attractive texture and density. The maturity was evident in the middle. The texture continued through the wine as a hint of minerals, a little smoke, and creamy blue fruit wrapped things up. Drinking well. *** Now-2018. Imported by Tenth Harvest. This wine is 100% Nebbiolo. Alcohol 13%. There were candied red fruit aromas. In the mouth the wine fleshed out with some concentrated red fruit supported by very fine and powdery texture. The drying, tannins persist through the finish where a bit of tart, yet creamy fruit come out. Mature but will last ** Now-2018. Imported by RWK Imports. This wine is 100% Frappato that was fermented then aged for 4-6 months in stainless steel. Alcohol 13%. An attractive nose but one is quickly distracted by the rather frizzante beginning. There was unique bright and mineral infused blue fruit that was brought forth on assertive grapefruit acidity. A little odd. * Now. The tasting area at MacArthur Beverages is located in the back of the store near the Bordeaux and Burgundy sections. It was only natural then that while tasting 2012 Burgundy, a local wine lover began to recommended several bottles to try. To this were added several recommendations from Joe. This post features four of these wines which I found great fun to taste due to their diversity. I clearly do not drink that much Burgundy so this was good fun. 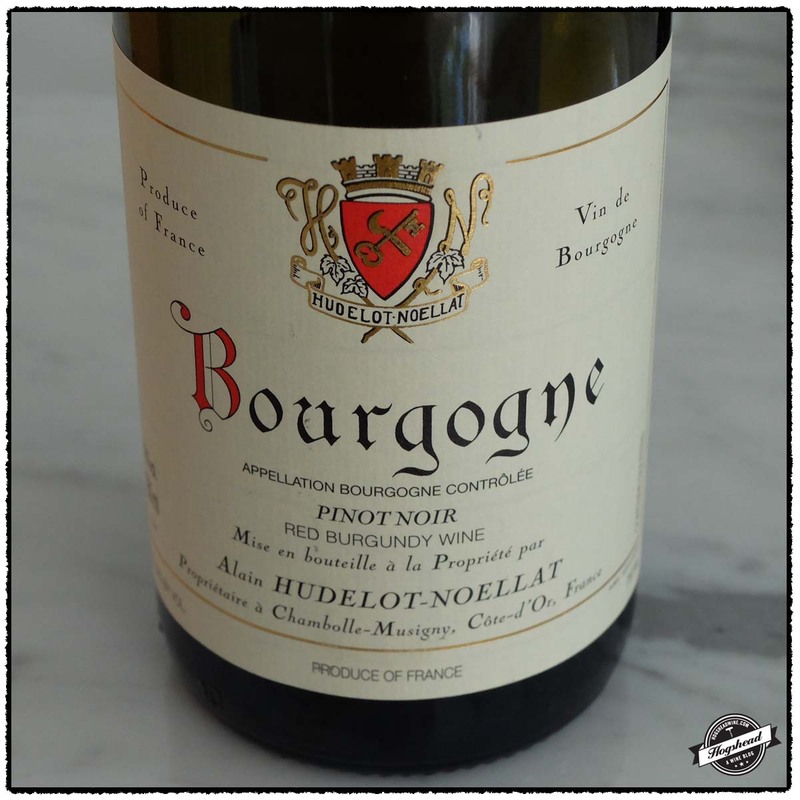 I rather liked the 2012 Hudelot-Noellat, Bourgogne for its defined, old-school personality. Even the neglected remains were drinking pleasurably three days later. The pair of wines from Domaine Arnoux-Lachaux struck me as incredibly different. It turns out that Pascal Lachaux’s son Charles, produced the 2012 vintage. Charles has made notable changes such as the use of whole cluster fruit and aging in large casks to lessen the oak flavor. 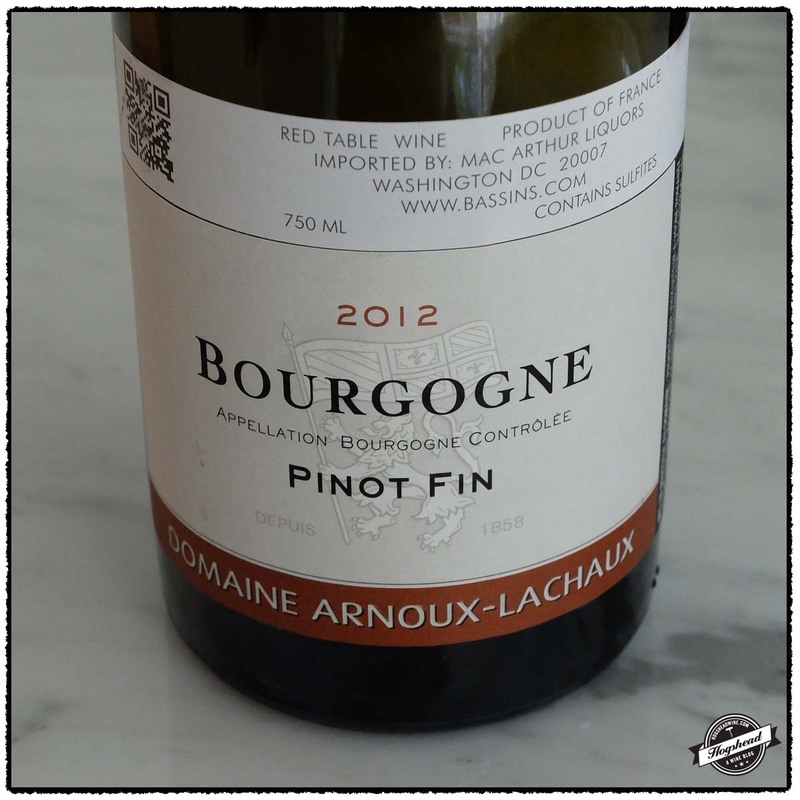 The 2012 Domaine Arnoux-Lachaux, Pinot Fin, Bourgogne showed bountiful aromas of grassy, red fruit with dry flavors in the mouth. 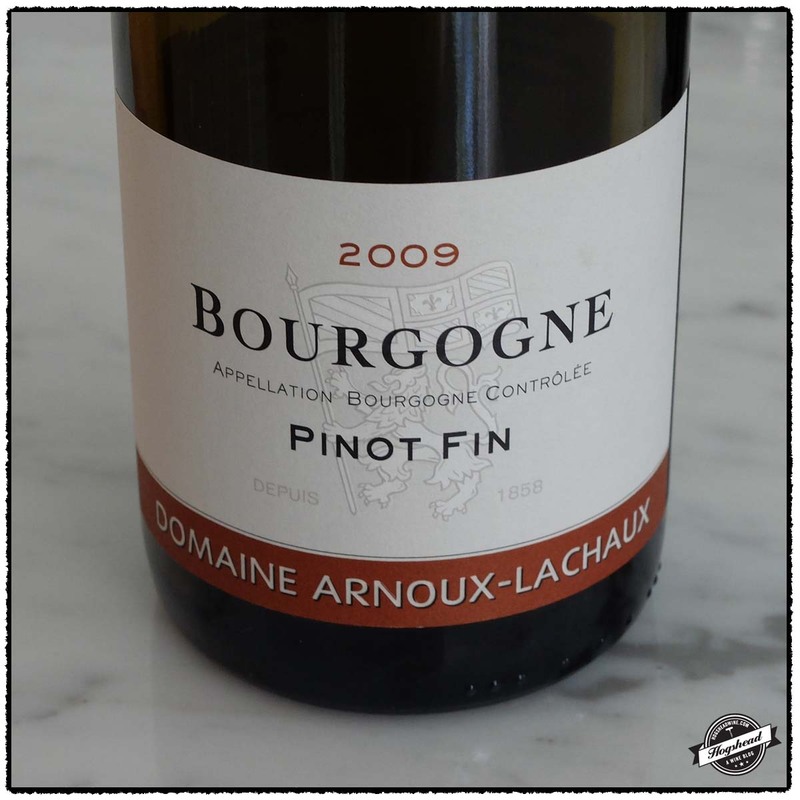 The 2009 Domaine Arnoux-Lachaux, Pinot Fin, Bourgogne was my preferred choice with its darker fruit, texture, and savory flavors. Finally comes the 2009 Domaine du Chateau de Chorey (Germain), Vieilles Vignes, Bourgogne. The wines of the domaine were produced by Benoit Germain. The 2009 vintage is the last from the domain for he died in 2010 after which the estate was sold off. Joe related that the vineyard had incredibly low yields. This particular bottle revealed mature notes on the aromatic nose but in the mouth the core of fruit and structure show plenty of life ahead. If I could pick only one of these four wine this would be the one. These wines are available at MacArthur Beverages. Imported by MacArthur Liquors. This wine is 100% Pinot Noir that sees approximately 20% new oak. Alcohol 12%. There citrus-backed, red fruit flavors and acidity that made the wine pop before the grippy, textured middle. It certainly had an old-school flavor. This bottle drank well for several days. ** Now-2019. Imported by MacArthur Liquors. This wine is 100% Pinot Fin sourced from 60+ year old vines that was vinified with at least 30% whole clusters. Alcohol 12.5%. The nose was continually aromatic with clean, grassy, red fruit. 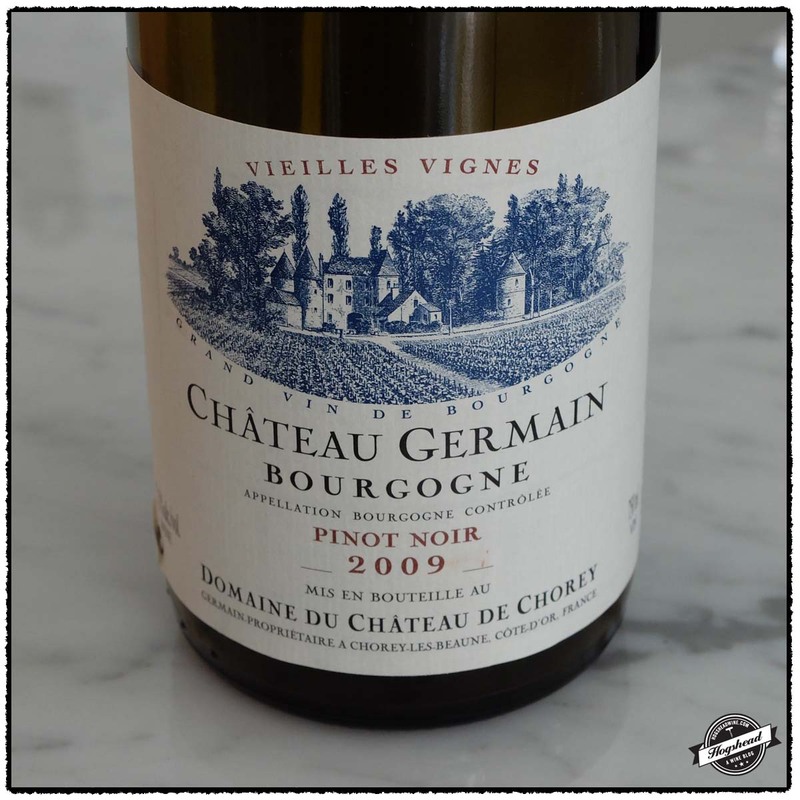 In the mouth were watery, red fruit flavors, a lighter body, and generally dry nature. The wine was energized by salivating acidity and with air, it took on some weight and wood notes. Has verve. ** Now – 2019. Imported by MacArthur Liquors. This wine is 100% Pinot Fin sourced from 60+ year old vines. The fruit was completely destemmed, the wine underwent malolactic fermentation and a few months of aging in used French oak barrels. Alcohol 12.5%. There were dark notes on the nose. In the mouth the ripe hints of black fruit showed focus. There was fresh acidity and a structure that subtly built in strength only to leave ripe tannins on the back of the tongue. The wine had bits of texture and spice. Though still young it showed some savory, softening from age. *** Now – 2020. Imported by MacArthur Liquors. Alcohol 12.5%. The nose was rather aromatic with maturing notes, a little blood, and old wood. In the mouth were red then tart red fruit, a slight wood note and plenty of acidity. 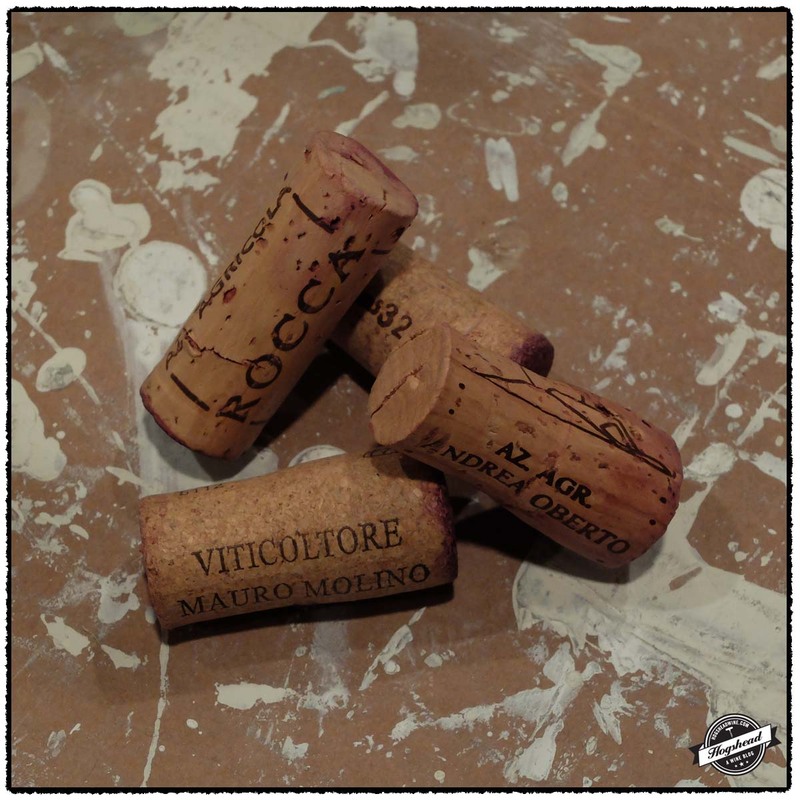 Firm wood tannins do build before the tart red finish which leaves grapey, ripe tannins on the gums. With air a core of fruit develops. Drinkable now but will last. *** Now-2019. The 2012 Burgundy blogger and industry night at MacArthur Beverages. 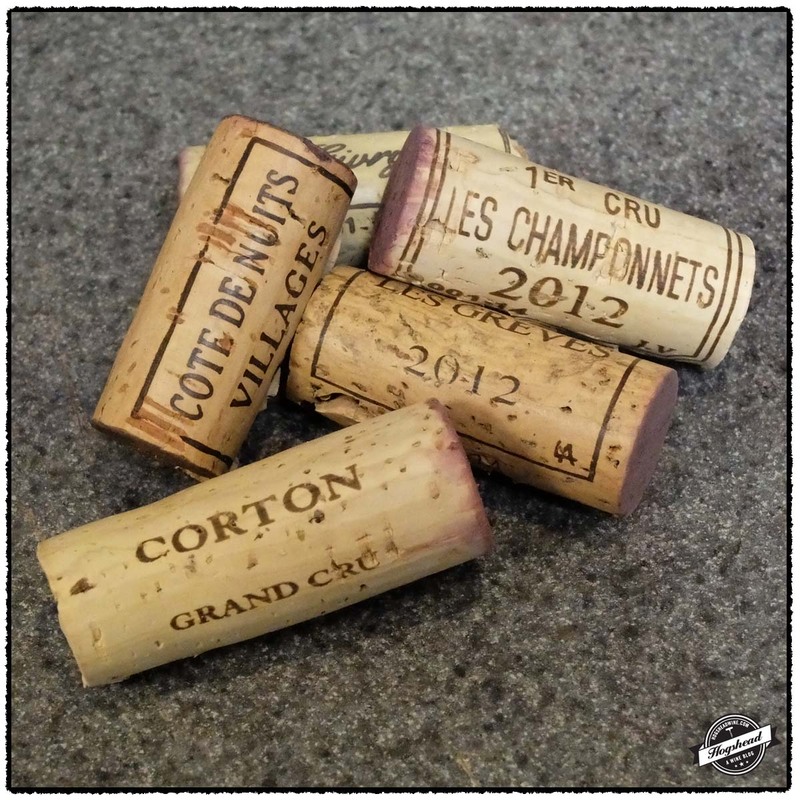 The 2012 vintage in Burgundy was troubled by destruction from hail, coulure, and millerandage. While this ultimately resulted in a significant reduction in the amount of wine produced, what was made is regarded as very good. That combination of small amounts of very good wine certainly drove up prices but as I recently learned, there is still good wine to be found in all ranges. This experience came at the annual blogger and industry night at MacAthur Beverages. 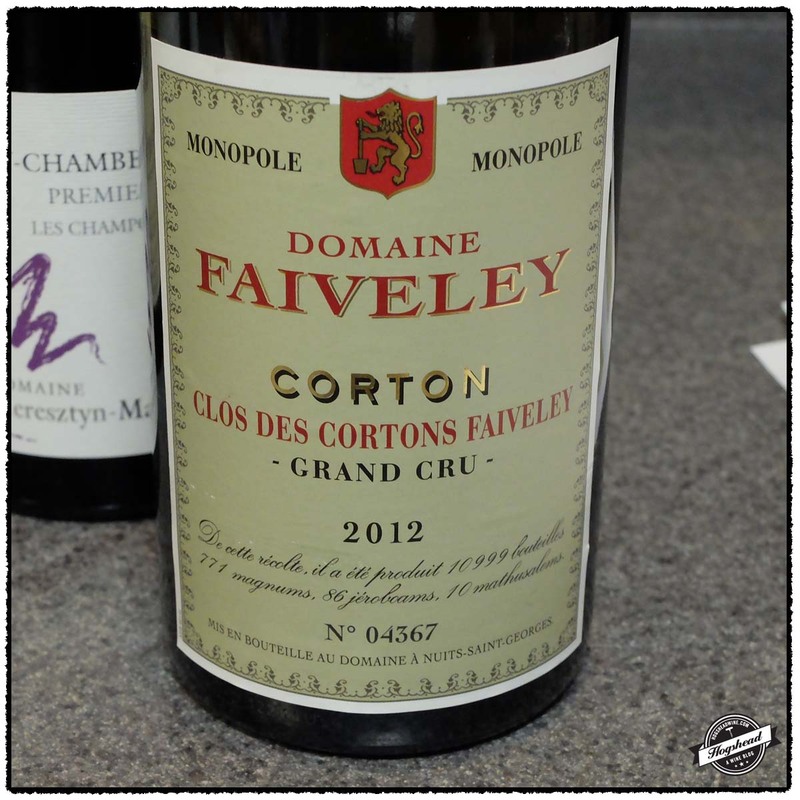 Organized by Phil Bernstein, we were treated to six wines from generic red Burgundy at $22 per bottle all the way to Corton Grand Cru at $220 per bottle. I cannot draw any conclusions from such a tasting but let me just say that I was generally pleased by the fruit, acidity, and ability to age. Last night, I even dreamed of drinking Burgundy. Imported by Frederick Wildman & Sons. Alcohol 13%. There were spiced red fruit aromas followed by grapey, young fruit in the mouth. 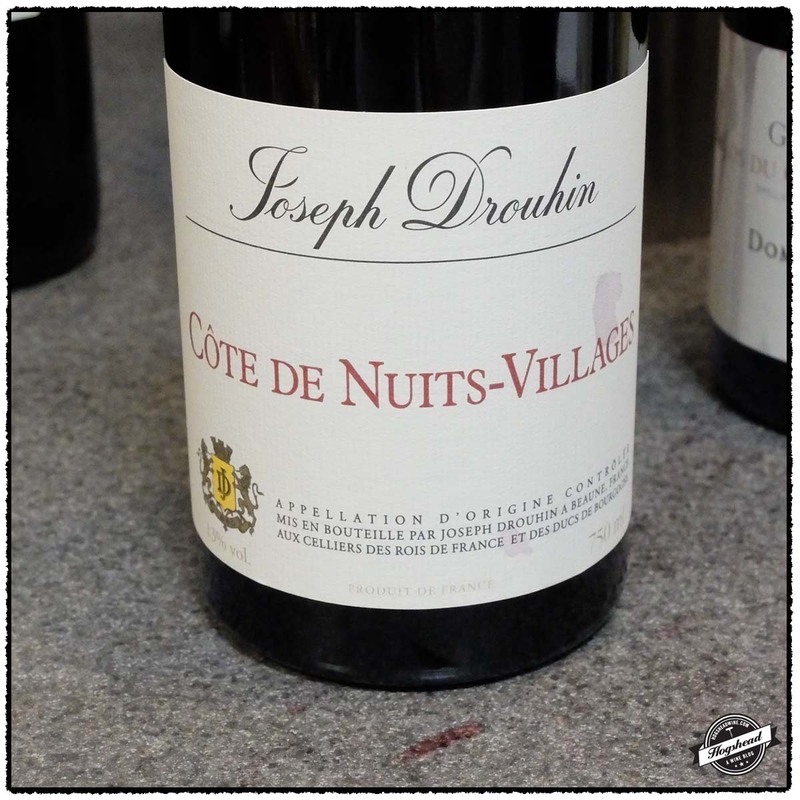 There was more red fruit with the structure immediately apparent with wood notes returning in the finish. I would cellar this for a year or two. Imported by Dreyfus, Ashby & Co. 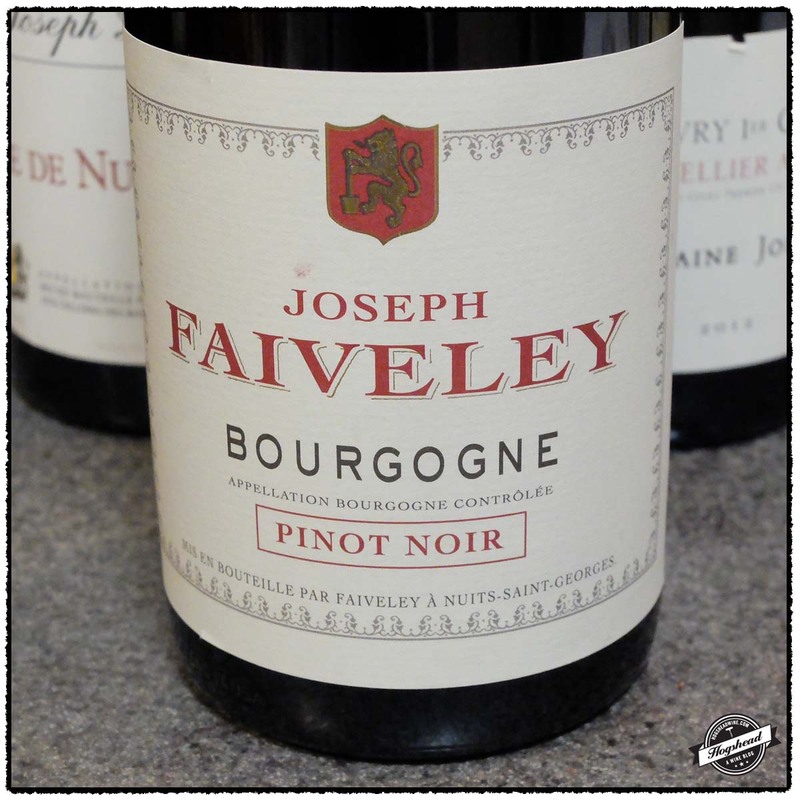 This wine is 100% Pinot Noir that was fermented with indigenous yeast then age for 12-15 months in French oak. Alcohol 13%. There was a pretty nose with some sweet aromas. In the mouth was watering acidity, red and black fruit, and less obvious structure. Though young, this wine was accessible, with developing raspberry candy flavors and eventually some structure. I think it showed better definition with air. Imported by Robert Kacher Selections. This wine is 100% Pinot Noir that was fermented in barrel with indigenous yeast then aged for up to 16 months in 50% new oak. Alcohol 13%. In the mouth were blacker, dark floral flavors followed by a vein of fruit. The black fruit remained focused, showing weight, a little more structure, and watering acidity. Will age. Imported by MacArthur Liquors. Alcohol 13.5%. There were smoky hints to the black, floral aromas. In the mouth were black fruit flavors that were finely ripe and texture. The acidity kept the wine moving along as tannins were left on the gums. The wood flavor does come out. Needs a few years to absorb the wood but should develop quite well. Imported by MacArthur Liquors. This wine is 100% Pinot Noir sourced from vines planted in 1972. The fruit was fermented with indigenous yeast then aged for 16-18 months in 40-50% new oak. Alcohol 13%. There was a serious but tight nose. In the mouth the acidity and structure were perfectly integrated with the raspberry and mineral, black fruit. The fine grained tannins suggested several years of aging are required. Imported by Frederick Wildman and Sons. This wine is 100% Pinot Noir sourced from vines planted between 1936 and 2002. It was fermented in a combination of stainless steel and wooden vats then aged for 16 to 18 months in mostly new oak. Alcohol 13%. The complex nose made way to concentrated, complex, and gently spiced flavors in the mouth. There was broad ripeness, lipsticky raciness, and black graphite flavors. Very attractive now this will unfurl with further time in the cellar. Lovely. We listed our current house for sale last week after purchasing our new house less than two weeks ago. 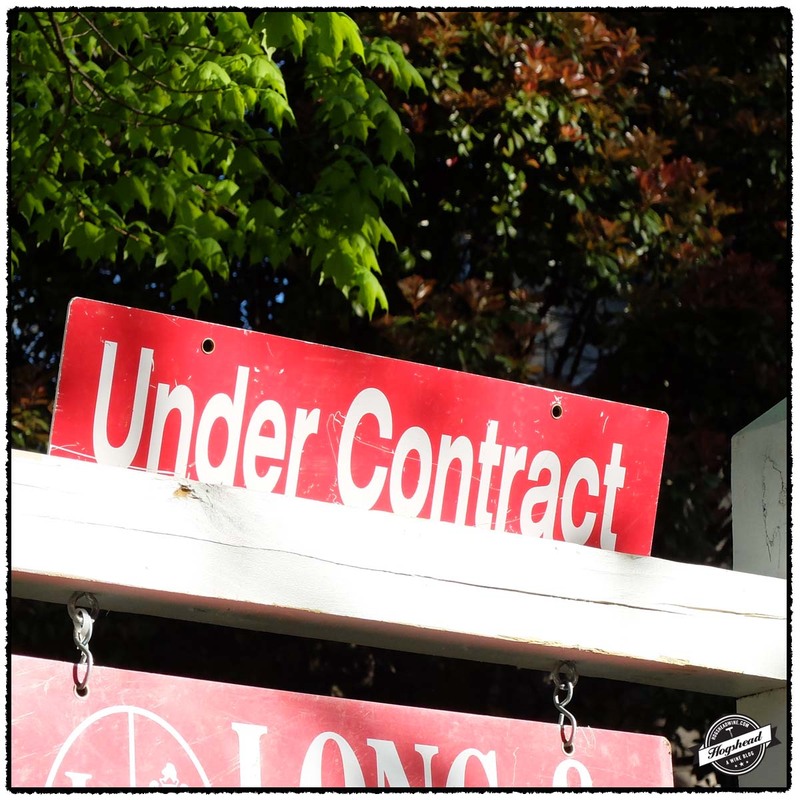 I am happy to report that we are now under contract to sell our current house. There are still many demands on time, particularly with a move looming in several weeks, so continue to bear with me. 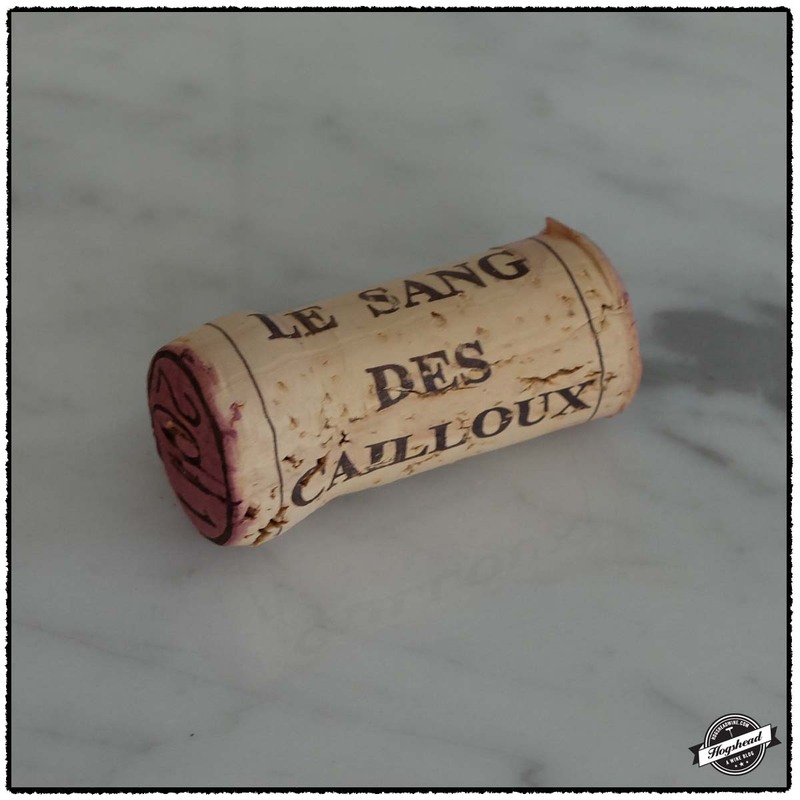 I have been enjoying the wines of Domaine Le Sang des Cailloux for over ten vintages now. 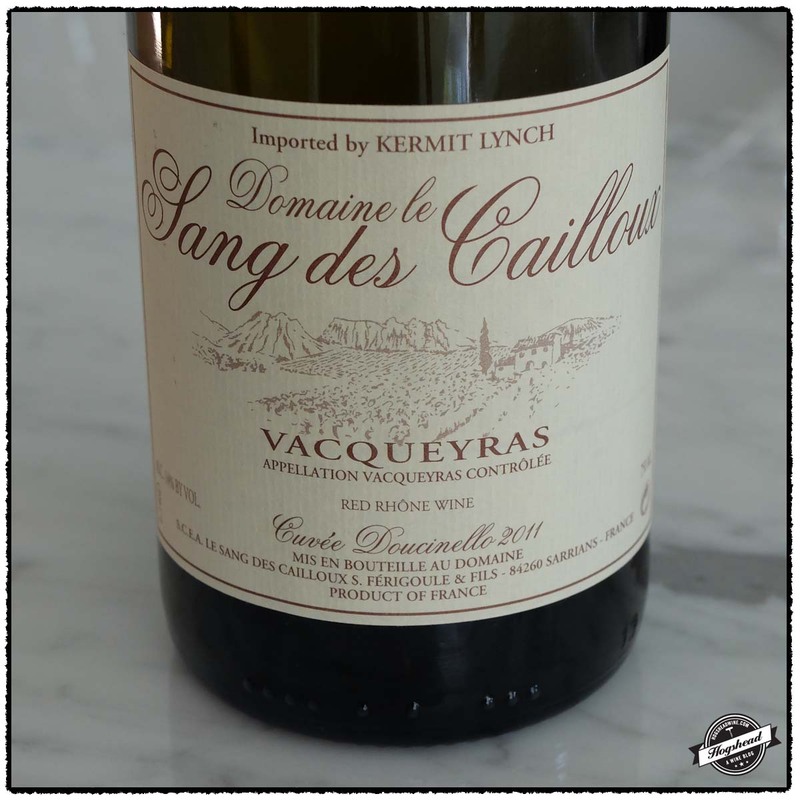 While 2011 is generally regarded as a good rather than great vintage for the Southern Rhone, the 2011 Domaine le Sang des Cailloux, Cuvee Doucinello, Vacqueyras proved to be made of serious stuff. 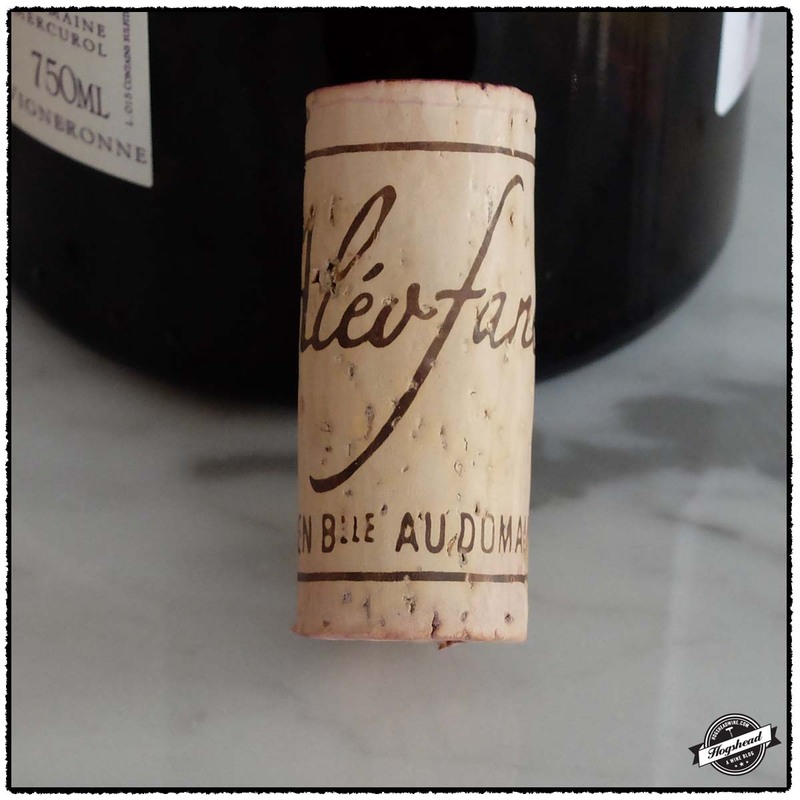 Interesting enough, this cuvee saw only six months in wood, yet it took three days to finally open up. When it did, it revealed the earthy, minerally flavors I have come to love. I recommend you stash away several bottles to try again in five years. This wine was purchased at MacArthur Beverages. Imported by Kermit Lynch. This wine is a blend of 70% Grenache, 20% Syrah, 7% Mourvedre, and 3% Cinsault that was aged for six months in foudre. Alcohol 14%. The nose eventually opened up to reveal tight black fruit and tar. In the mouth were rounded, earthy, cherry fruit flavors mixed with spices. There was a little zip in the finish from the acidity. After three days the wine eventually drank well. The tight fruit, acidity,and mineral infused tannins were all in balance. There was even an inky flavor. ***(*) 2020-2030. I am excited to report that we finished updating and staging our current house. Photographs were taken yesterday and it will be listed for sale tomorrow. Last week we closed on our new house which we will take possession of within one month. That should mean I can return to my regular research and writing until we must move. Natacha Chave is the younger sister of Yann Chave whose 2012 Crozes-Hermitage was featured in an earlier post. Natacha Chave released her first vintage in 2006. Today, she produces wine both from St. Joseph and Crozes-Hermitage. In the later, she purchased a 5.5 hectare vineyard of old vines to which she has added new plantings. The vineyard is steep so it is worked entirely by hand. 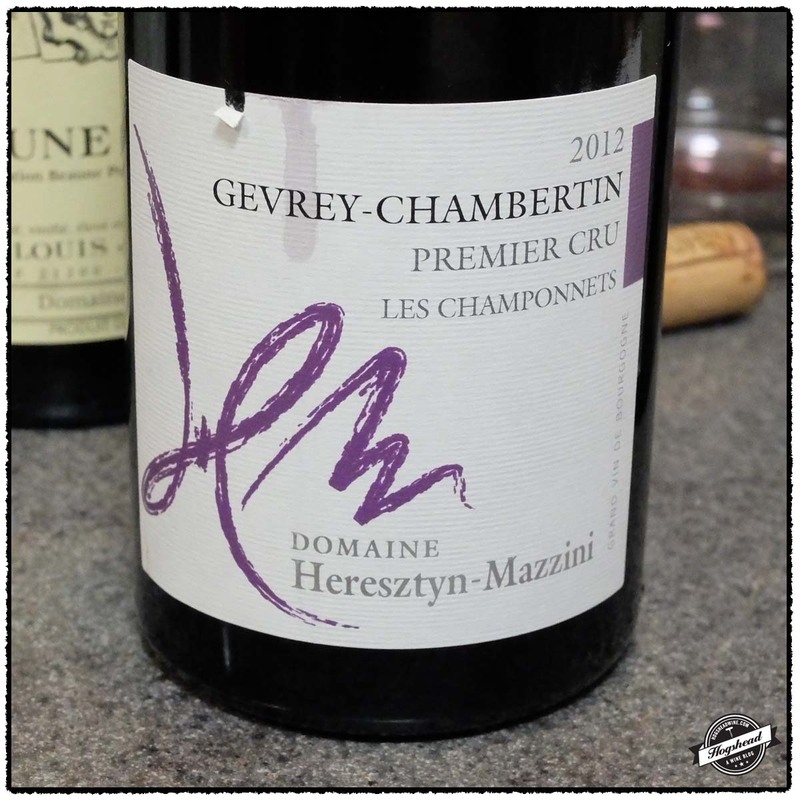 At times, the wines of Crozes-Hermitage comes across as weak introduction to the Northern Rhone. 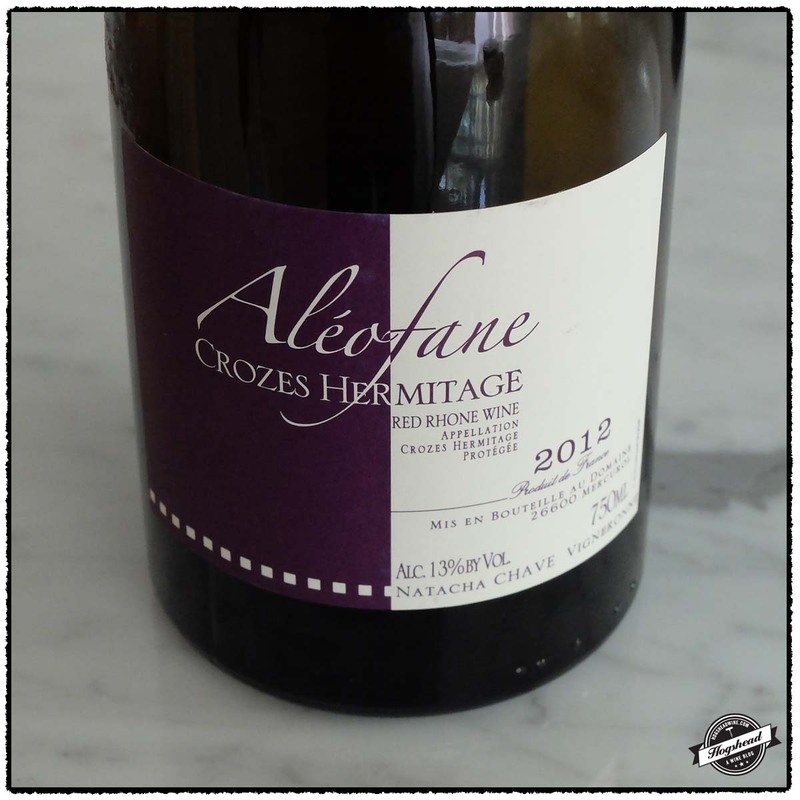 There is no confusion with the 2012 Domaine Aléofane, Crozes-Hermitage. 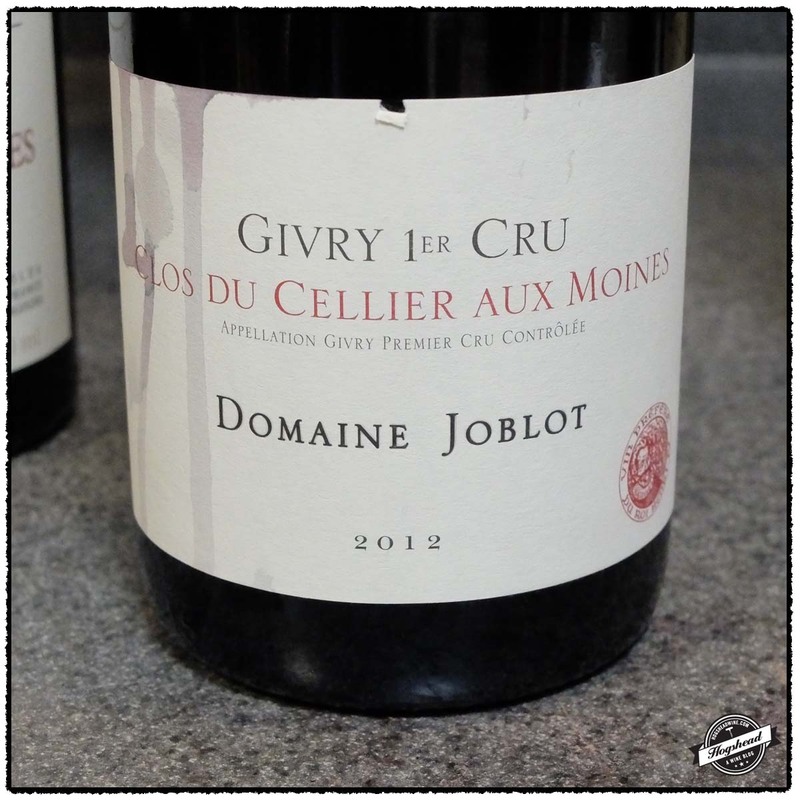 This is a serious, attractive Northern Rhone Syrah at an affordable price. With a bit of that hallmark fat this balanced wine should develop of the next couple of years. It makes for great drinking now so save several bottles for the future. This wine was purchased at MacArthur Beverages. Imported by Exclusive Wine Imports. This wine is 100% Syrah. The fruit is destemmed then fermented with indigenous yeasts and aged for 12 months in demi-muid. Alcohol 13%. There was young, tart fruit that turned darker towards the middle. The wine had some attractive fat as well as a seamless blend of juicy acidity and riper tannins. Clearly a Northern Rhone Syrah this wine eventually developed prune and black fruit flavors. *** Now-2022. As we continue to seemingly spend all of our money on paint, cleaning supplies, and pillows for staging, we maintain a need for affordable, interesting wines. 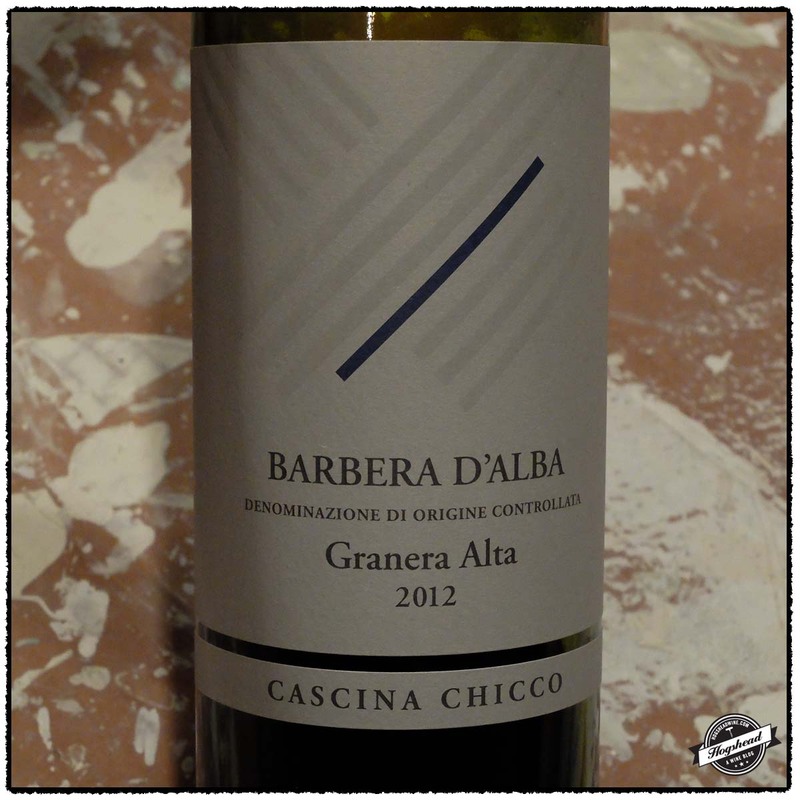 The 2012 vintage is a strong one for Barbera d’Alba so in this post I focus in on four selections priced from $13 to $18 per bottle. These selections were all vinified in stainless steel with all but one aged in wood. The wines ranged from rather ripe and forward to balanced. 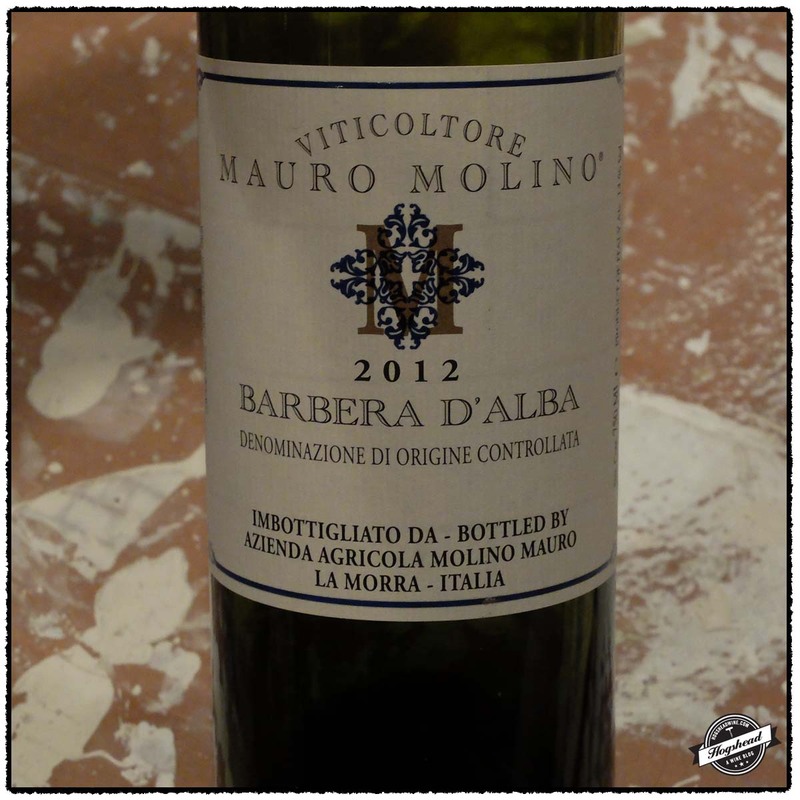 The 2012 Mauro Molino, Barbera d’Alba offers a decent value with subdued flavors of tangerines, red fruit, and bacon fat. 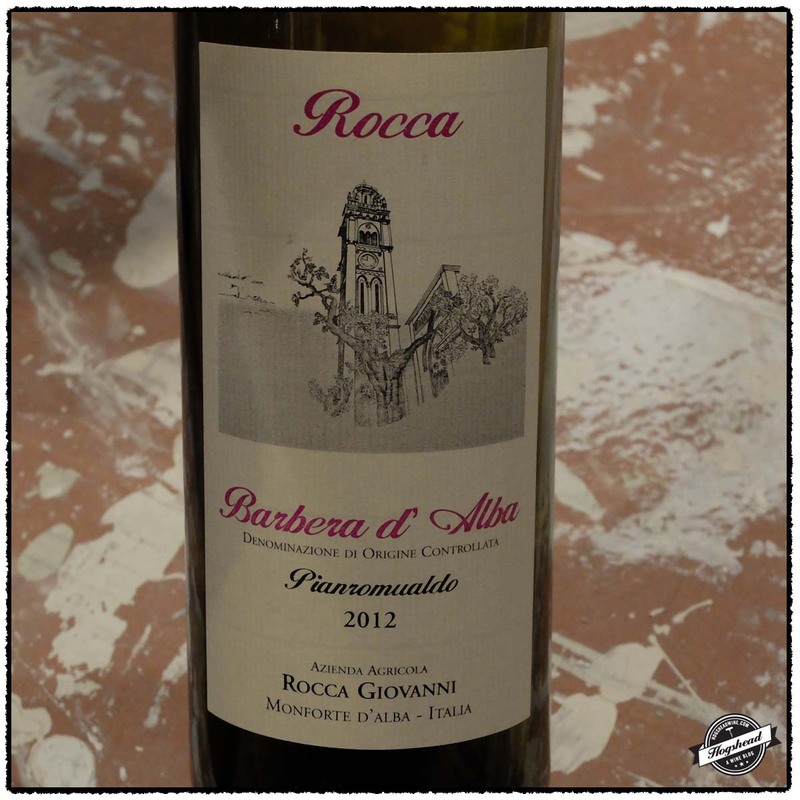 The 2012 Rocca Giovanni, Pianromualdo, Barbera d’Alba steps up a bit with better acidity, minerality, and structure leaving the impression of a good wine for the price. Our hands-down favorite is the 2012 Andrea Oberto, Barbera d’Alba. From the aromatic nose to the long aftertaste it is a wine you will want to smell and drink. What’s great is that it is approachable right now, just give it half an hour in the decanter. It is a clear step up from the other selections so go grab a few bottles! These wines were purchased at MacArthur Beverages. Imported by Vinifera Imports. This wine is 100% Barbera sourced from vines averaging 10 years of age. It was fermented in in stainless steel then aged in wood casks and used French barriques. Alcohol 14%. There seemed to be some volatile acidity on the nose along with linear aromas of fresh floral black fruit. In the mouth were nice focused flavors of floral citrus fruit, watering acidity, and some rough structure. *(*) 2016-2019. Imported by Monsieur Touton. This wine is 100% Barbera sourced from vines planted in 1958 that underwent temperature controlled fermentation followed by 10 months aging in barrique. Alcohol 14.5%. The nose bore very ripe, grainy fruit aromas. In the mouth the flavors were fruit forward before a tight, ripe core of black fruit came hint. This had a mineral hint with salivating acidity and a dry, textured finish. 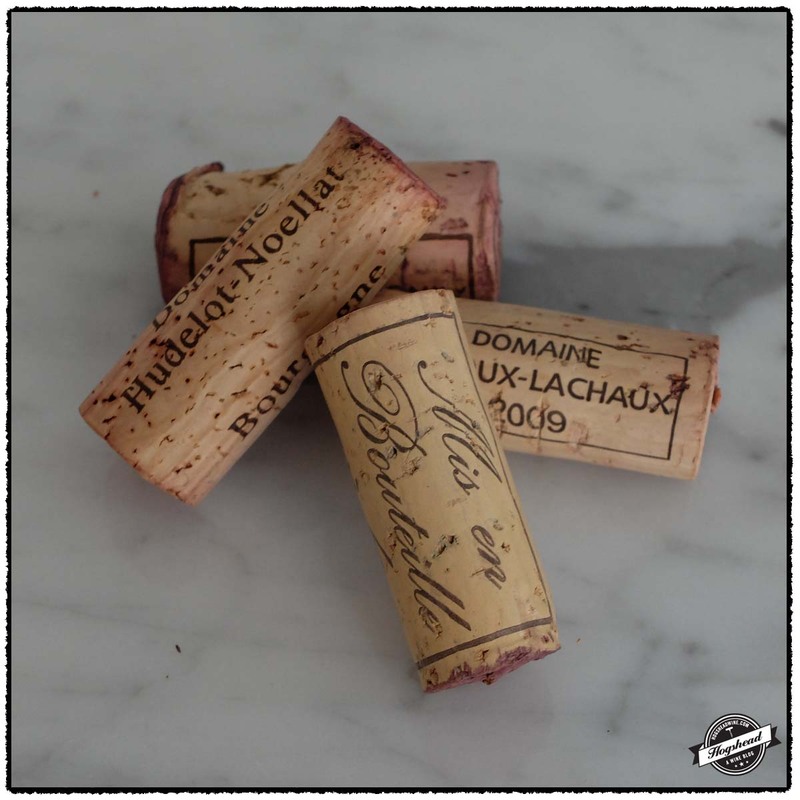 The wine shows some density, a little wood note, and leaves the impression of being a nice wine for the price. ** Now-2018. Imported by J.W. Sieg & Co. This wine is 100% Barbera that was vinified then aged for six months in stainless steel tanks. Alcohol 14%. The nose of black fruit was lifted by both greenhouse aromas and fresh tangerines. In the mouth were attractive flavors of tangerine red fruit that came across in a slightly creamy and subdued fashion. It took on some tart flavor but that was tempered by bacon fat flavors. ** Now-2017. Imported by M R. Downey Selections. This wine is 100% Barbera sourced from vines in La Morra. The fruit was vinified in stainless steel then 60% was aged for 8 months in stainless steel and 40% was aged for 6 months in new barriques. Alcohol 14%. This wine had a fine, proper nose. In the mouth the black and red fruit was slightly brighter than the nose suggested. There was both a citrus flavor and bacon fat aspect. There was moderate structure with citric pithe tannins. The aftertaste left flavor on the inside of the gums. Top-notch. *** Now-2018.